In the late 1950’s and early 1960’s alpine skiing saw an impressive growth in popularity. 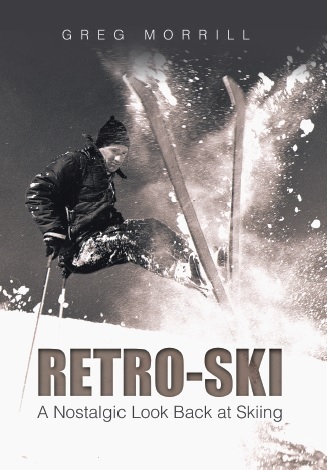 What technology improvement in the 1950’s led to skiing’s increase in popularity? A couple of absolute shots in the dark. Technology per se is such a cliche these days. 1. From a maintenance perspective, one breakthrough was the addition of extruded polyethylene bases (P-TEX) to the skis, allegedly to “eliminate the need for waxing” In point of fact PE might have been seen as a “work saver” for casual skiers, but waxing was still required by racers. PE of course required parallel breakthroughs in adhesives which led to another path of improving ski durability with skis of multiple materials. 2. From a social perspective, the Double Chair certainly allowed for growth in both the up hill capacity as well as conversation. While this “product line extension” actually happened in the late 1940’s its rapid deployment began in the mid to late 1950’s. 3. From a clothing perspective, the mass introduction of nylon materials, stretch pants, and insulated coats made things much more comfortable. Although there’s something to be said for the smell of woolens drying among the rafters overnight, co-mingled with whatever stew we were cooking. You hit it on #3! The advances in stretch material suddenly made ski clothing fashionable. And as I’ll mention next week that was for men as well as women. Prior to those developments women were drawn to skiing to meet men, but only after were men drawn to the sport to meet women! Stretch pants! I have a few vintage pairs!